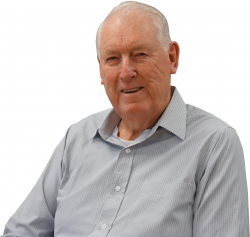 Hendl & Murray Engineering can trace its roots back to 1976 when, on the back of 17 years with the NZ Co-operative Dairy Company as a maintenance engineer, Ron Hendl founded the company as a sole trader. In 1980 Hendl & Murray Engineering was formed when Jim Murray, who had also worked as a maintenance engineer with the NZ Co-operative Dairy Company, entered the business. The first workshop was opened the same year on King Street in Frankton, Hamilton. Noel Hendl joined the company in 1984, followed by Neil Edwards in 1985. In 1987 HME moved to a larger premises purchased by Hendl & Murray also in Frankton on Bandon Street. Over the ensuring years the business continued to grow and in November 1992, having outgrown its Bandon Street premises, the company moved to its current location in Tawa Street, Melville, Hamilton. Jim Murray left the company late 1996 to pursue other business interests. HME’s workshop capacity has also increased since it moved to Tawa Street to meet the company’s growth and workshop needs. Sadly, Ron Hendl passed away suddenly on 27th June 2017. Prior to his death Ron had stepped back from the operational side of the business which continues to be handled by fellow company directors, Neil Edwards and Noel Hendl.